Welcome back if you stopped by earlier for the Remarkable Ink Big Blog Hop. 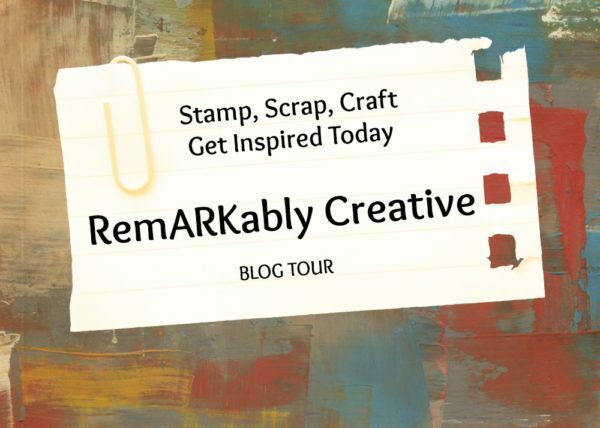 Now we are hopping along with the Remarkable Creative Blog Tour! I'm so glad you could join me! Our December theme is Spring Catalog Sneak Peek and I'm using a brand new Sale-a-Bration stamp set that will be available free with a $50 order come January 3rd! You may be just getting started here at my blog, Katrina's Kreative Heart, with me, Katrina Wolfe, or you may have come from the person before me in the list. Either way, if you get off track at any time, just follow the line up below to move from blog to blog so you won't miss any of the amazing projects along the way. Remember, at the moment, you are visiting, Katrina Wolfe at Katrina's Kreative Heart. 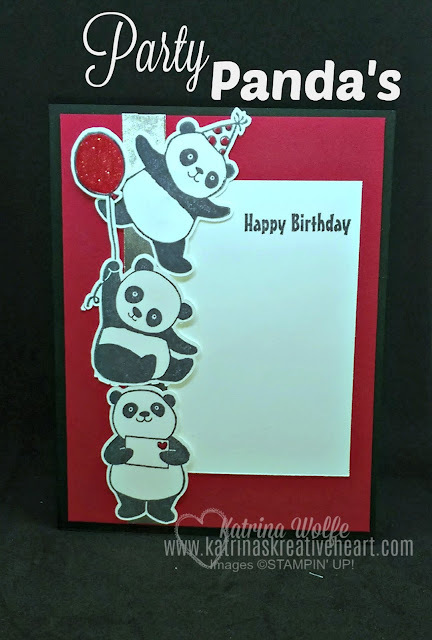 For today's hop, I chose to use an adorable set found in the up coming Sale-a-Brations's catalog, Party Pandas. I fell in love with this set on first sight ad couldn't wait to get my hands on it. For this card, I started with a standard Basic Black card base, 8.5" x 5.5" scored and folded at 4.25". I added a panel of Real Red 4" x 5.25" followed by a piece of Whisper White cut 2.5" x 3.75" and stamped the Happy Birthday Sentiment with Memento Tuxedo Black ink. I then added a strip of Silver Foil paper cut .5" x 5.25" and adhered that down over the left edge of the Whisper White panel. I then stamped each of the Pandas onto Whisper White and fussy cut each of them out. I colored the balloon with the Real Red Stampin' Write marker and added a bit of clear Wink of Stella and colored the little heart on the first Panda's letter with the Real Red Stampin' Write marker. I adhered the Pandas with Stampin' Dimensionals. This was a quick and easy card minus the time it took to fussy cut the Pandas. I hope you enjoying the blog hop and are finding lots of inspiration to get you excited for all the great products to come. Remember, use the links below to move through the hop. Currently you are on Katrina's Kreative Heart with Katrina Wolfe.